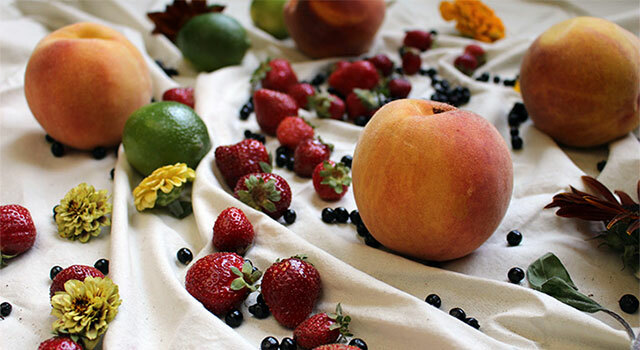 Periodic cleansing is considered a vital part of an Ayurvedic lifestyle. To make this process as easy as possible, we’ve put together all the basic supplies for your cleanse. Combine the Cleanse Bundle with either the Vata, Pitta, or Kapha Balancing Bundle for the complete collection of your cleansing necessities. The combination of these two bundles will provide everything you’ll need for a 7-day Ayurvedic home detox. If you haven’t already, take the Ayurvedic Profile™ quiz for a recommendation on which dosha balancing bundle is right for you. 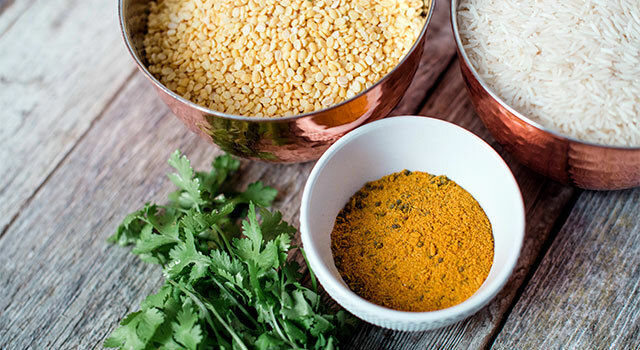 The foundation of an Ayurvedic cleanse is the nutritious and easy to digest meal, kitchari, which is a thick stew of basmati rice and yellow mung dal. 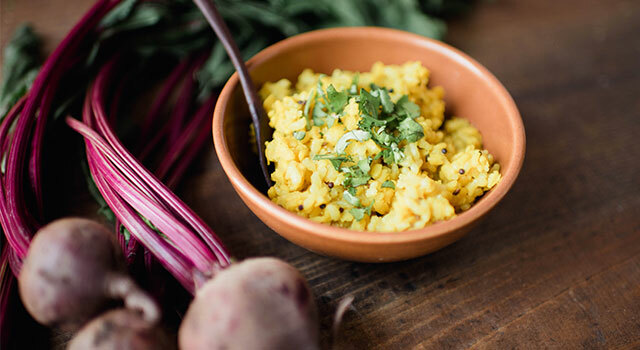 A simple and delicious kitchari recipe is included in the Cleanse Bundle. Spice up your kitchari and support your digestive fire during every meal with the traditional blend of spices in Kitchari Spice Mix. This pre-blended spice mix not only makes delicious kitchari, it also saves time and energy while preparing your meals throughout the cleanse. Ghee is a rich addition to your kitchari that will nourish the body and mind, promote healthy digestion, lubricate the tissues, and help to remove natural toxins.